He said in the coming days he would try to establish SP as a "national party" and would also take out a "rath yatra", when needed, to strengthen the party. 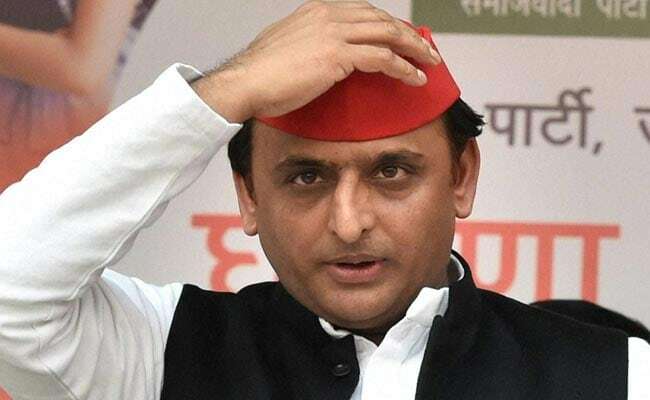 Lucknow: Samajwadi Party chief Akhilesh Yadav today accused the ruling BJP in Uttar Pradesh of "befooling people" and said "instead of wasting time, the party should demand big" from the Centre in its budget. "The BJP government is only befooling people. Instead of wasting time, the party should demand big from the Centre for the state in its annual budget," Mr Yadav said, suggesting launch of a bullet train service to Lucknow. "The same (bullet train) can be run alongside Agra-Lucknow expressway," he told reporters in Lucknow. Asked about his meeting with like-minded opposition parties on Sunday to discuss the EVM issue, Mr Yadav said, "We demand that before the Lok Sabha polls, two bye-elections of Gorakhpur and Phulpur be held using ballot papers." On possibilities of coalition and alliance with other parties in the days to come, he said the matter would be discussed with other parties. On his father Mulayam Singh Yadav announcing his decision to contest from Mainpuri seat, presently held by his kin Tej Pratap Yadav, the SP chief said, "The party is behind him. He can contest from wherever he wants. I know from where Tej Pratap is to be asked to contest." Akhilesh Yadav also attacked the BJP for not starting distribution of sweaters to children during the winter, imposing tickets for entry to Janeshwar Mishra park and starting toll on Agra expressway. On the issue of demonetisation, he quipped, "All the corruption has ended. It (BJP) should once again initiate demonetisation in the New Year to end the leftover corruption."